Tickets on sale now! The Pawnee Bill Ranch and Museum will celebrate the Women of the Wild West Shows with the re-creation of Pawnee Bill’s Original Wild West Show on June 7 and 8, 2019. Preshow entertainment begins at 7 p.m. and the Wild West Shows start at 7:30 p.m.
Kevin Webb will portray Pawnee Bill for the 11th time. 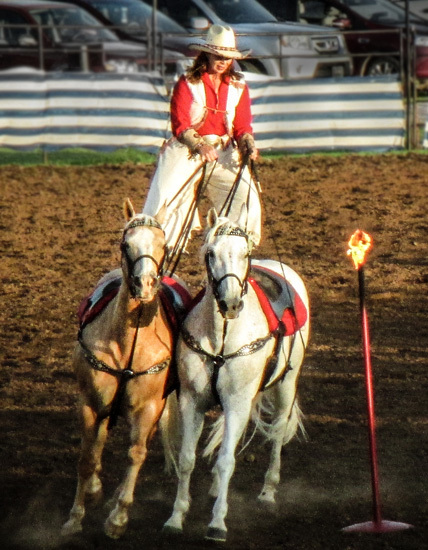 Webb, a long-time Wild West Show cast member and Pawnee Bill Ranch employee, is also a whip artist and chariot racer. Alyce Webb (Kevin's wife) will portray May Lillie for the first time, performing her act on horseback. This year’s show will also include these great women performers Amanda Poole as LuLu Bell Parr, Tayla Burns as Princess Winona, and Danae Ray as Annie Oakley. Trick riders Windy Ratchford Lattin and Cheridyn Bateman will demonstrate a complete mastery of her equine companion while performing some of the wildest stunts ever seen. 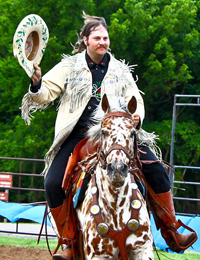 Kalvin “Kowboy Kal” Cook will astound guests his roping feats and skills. 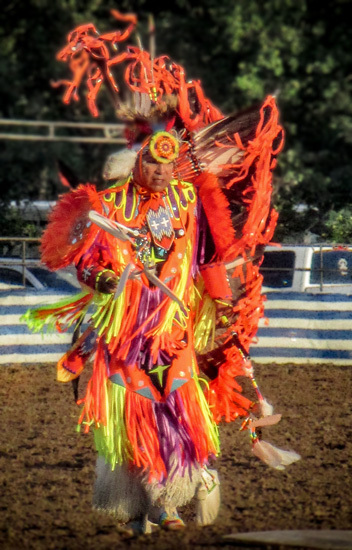 The Mike Pahsetopah family will perform as the Dancing Eagles, paying tribute to the American Indians with their stunning native dancing. The Cossacks will be back again this year to demonstrate their skills with reckless feats of horsemanship and military maneuvers. The museum and mansion will be open to the public on both show days from 11 a.m. to 7 p.m. On Saturday, June 8, there will be historically accurate entertainment such as blacksmithing, gunfighters and sharpshooters, a medicine man show, and musicians, all free and held continuously on the ranch grounds from 2 to 7 p.m. The cast will be available for a meet and greet with the audience on the museum grounds starting at 4 p.m.
Three food trucks will be on-site for the Wild West Shows and the Pawnee Bill Ranch Association will serve water and root beer. Macarena’s Mexican Street Café will offer street tacos, burritos, quesadillas, nachos, drinks, and more; NXT Level BBQ will serve spareribs, pulled pork, smoked meatloaf, smoked chicken salad, drinks, and sides; and Roadside Grill will have hamburgers, cheeseburgers, and hotdogs, served with chips and a drink. Tickets on sale now! Call 918-762-2513 to purchase tickets. Prices listed are for advance purchases only. On the day of the show, tickets are $15 for adults and $10 for children.